Sorry for the cryptic title. Recently a friend was installing Windows 10 on an old PC with an AMD processor. 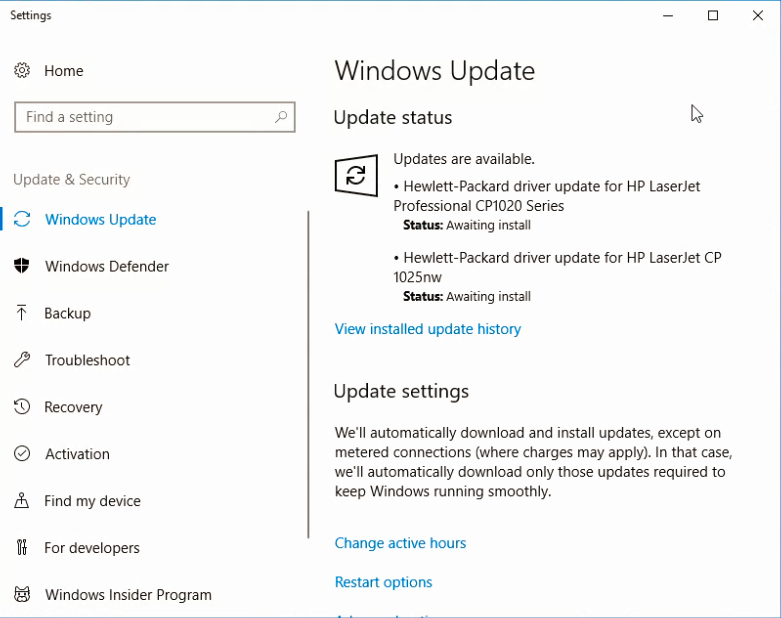 Windows Update kept installing a driver. After the driver installed the PC would attempt to reboot but fail. 3 hard reboots would cause Windows 10 to roll back and all was good until Windows Update installed it again. Similarly I have an old HP CP1025NW printer. 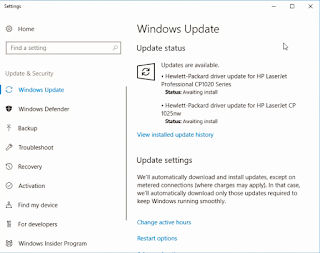 It works fine with Windows 10 but Windows Update keeps trying to install different drivers. The install always fails. 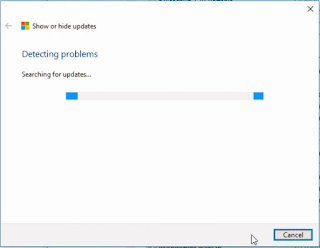 Usually Windows Update will try a couple of times and then go quiet. 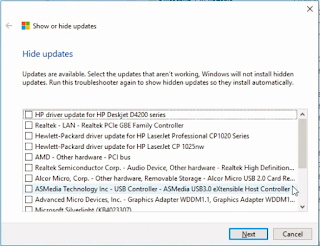 However recently when Windows Update failed to install the printer driver the whole Windows Update process hung up. Microsoft has a tool that will let you block updates. 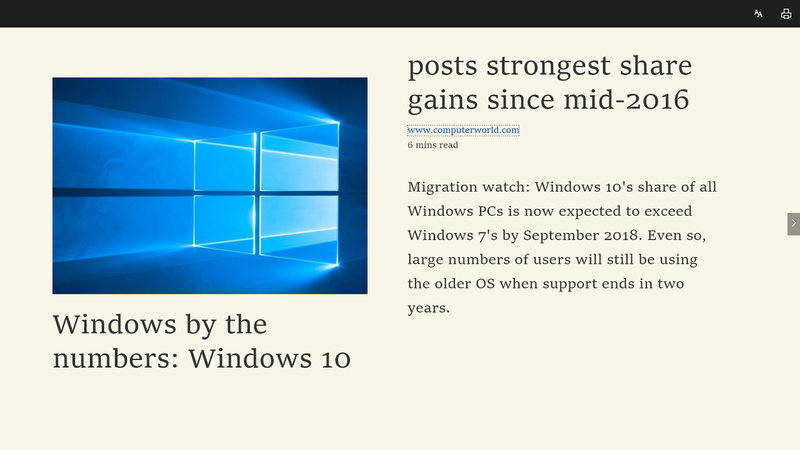 In Windows 10, your device is always kept up-to-date to have the latest features and fixes. 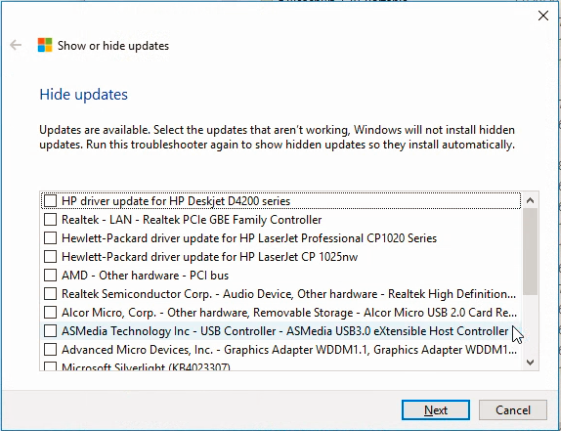 Drivers are installed automatically so that you don't have to select which updates are needed. In rare cases, a specific driver might temporarily cause issues that affect your device. 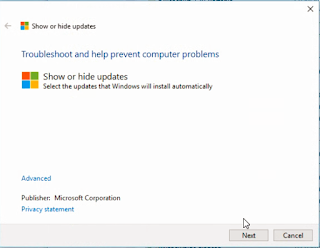 In this situation, you can prevent the problematic driver from reinstalling automatically the next time Windows Updates are installed. There's a download on that page for wushowhide.diagcab. Just save it to your desktop and double-click it. Click on "Next" and it will go look for pending updates. Select the updates you want to block and click on "Next". 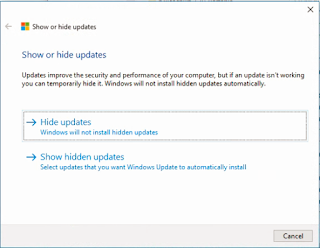 Unfortunately Microsoft tends to rerelease updates so blocked updates will reappear from time to time. Just repeat the Show-Hide process again. No, I don't know what the next "version" of Windows will be called but history suggests it might be "Spring Creators Update". One thing for sure, you don't want to be surprised when you wake up one morning and it has installed/uninstalled/crashed overnight. 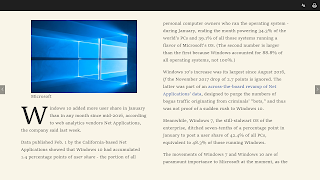 Likewise Microsoft had their share of troubles with January's patches. So now is a good time to prepare. If you're not running Windows 10 Pro, the first thing to do is to go here and buy a Windows 10 key for $14.00. Then backup and upgrade (archive.org) Home to Pro. Then follow Woody Leonard's instructions from here. To block Automatic Updates (you can say "defer" if you prefer), click Start > Settings > Update & security. Click the link marked "Advanced Options." 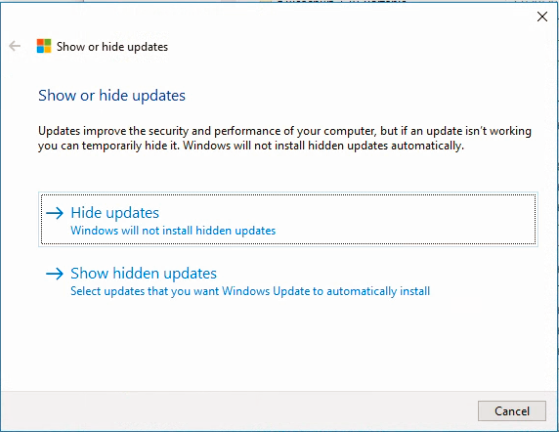 You can see the "Choose when updates are installed" pane in the screenshot. 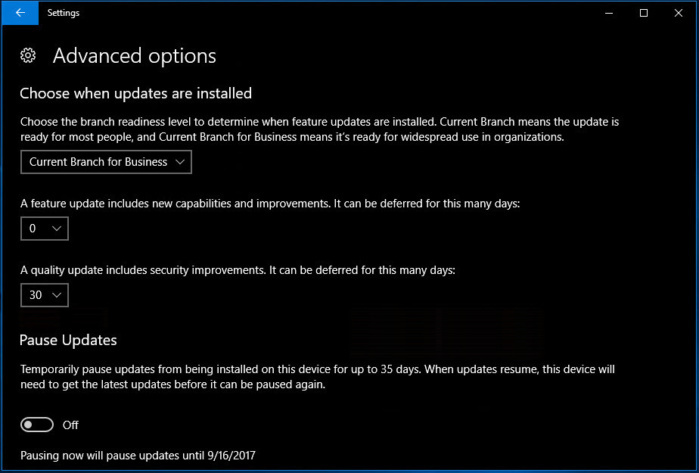 Microsoft has changed the terminology several times in the past couple of months, but choosing "Current Branch for Business" in the first drop-down box should assure that you won’t be upgraded to the next version of Windows (presumably, version 1709) until Microsoft says it's ready for widespread adoption. By choosing CBB, you’re avoiding the four-month-long unpaid beta-testing phase, where those who leave Automatic Update enabled get to install and test the new version of Win10 as soon as it's rolled onto their machines. The Feature Updates box is supposed to delay the installation of new versions (read: version 1709) by the specified number of days. Remember Feature Update = Version change. At this point, we have no idea how that number will interact with the CBB choice in the first box - or even if it interacts at all. The rules seem to change every week. 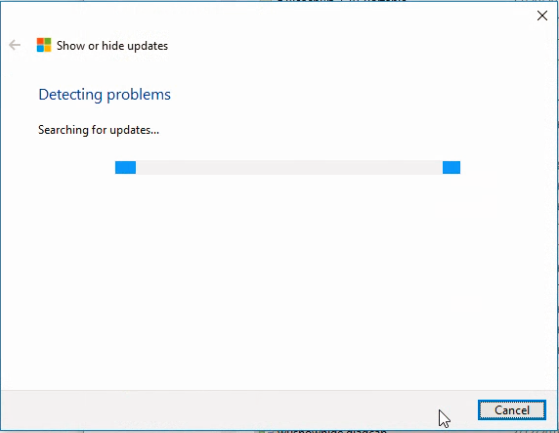 The Quality Updates box, though, controls how long Windows Update waits to install the latest cumulative update. Remember Quality Update = Cumulative Update. I suggest you wind that up to 30 days, the maximum, but put a reminder in your calendar to check in a few weeks to see if the next cumulative update is behaving itself. I don't recommend that you Pause Updates using this setting. It isn't clear what updates are being paused. 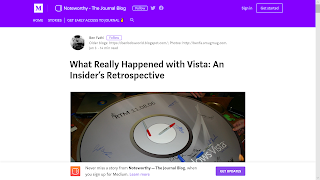 You still want antivirus updates, for example, and even if Microsoft allows those through now, experience has taught that the rules change all the time. Windows 10 versions 1507, 1511 and 1607 Pro and Enterprise had similar options, but you have to dig through Group Policy settings to get to them. 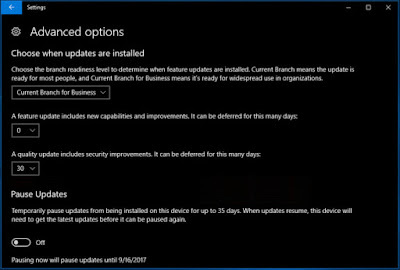 If you're on Windows 10 1709 "Fall Creators Update" the term will be "Semi-Annual Channel" instead of "Current Branch for Business". 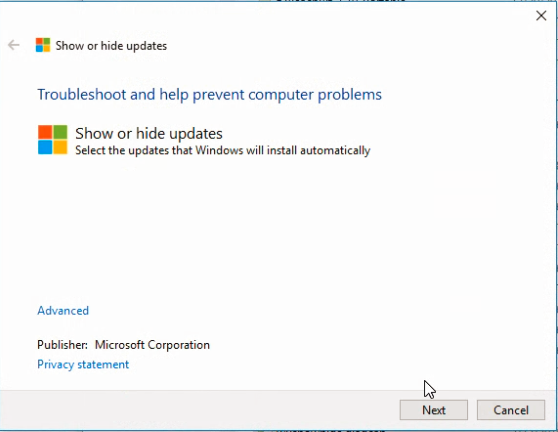 If you won't/can't upgrade to Windows 10 Pro, here are Woody Leonard's instructions for Windows 10 1703. You're on your own. With all this doom and gloom, personally I've had good luck. I finally found something that Microsoft's Edge browser is good for. 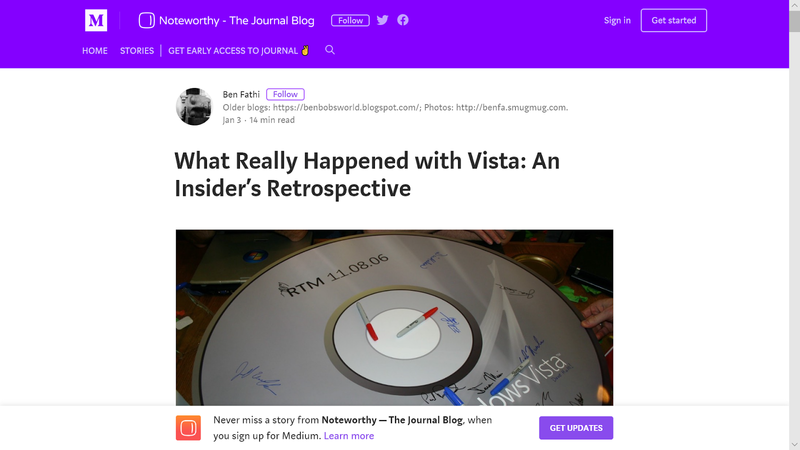 Last week I was reading an article at Medium.com on "What Really Happened with Vista: An Insider’s Retrospective". It was a good article but the presentation drove me crazy. 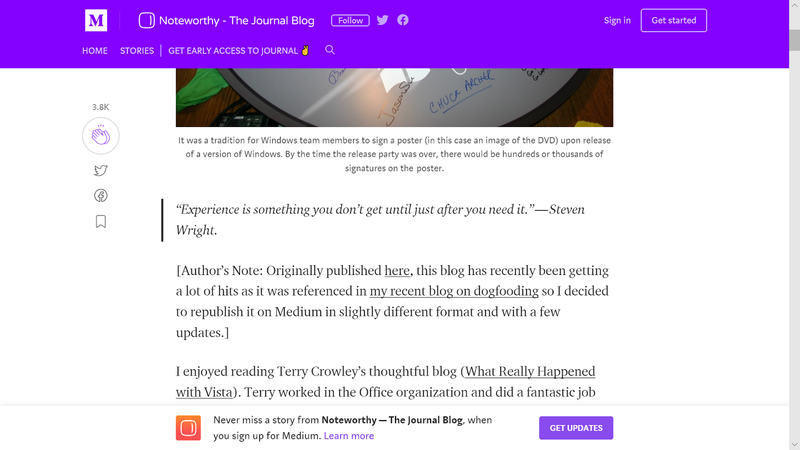 It had a CSS "shade" at the top and another CSS "footer" at the bottom. These caused PgDn to scroll too far and you would miss some of the text. Then you'd have to Up Arrow to see the skipped text. I didn't have enough patience to read much of it in this manner. 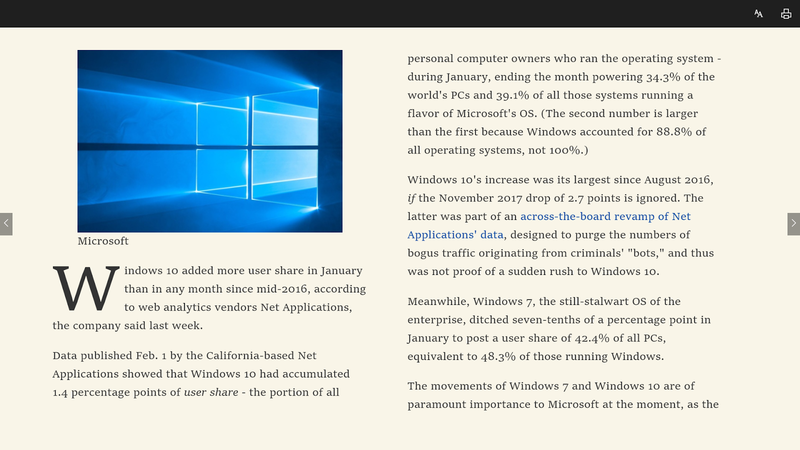 Then I recalled that Edge has a reading view. I copied the URL and pasted it into Edge. In the address bar is an icon that looks like an open book. 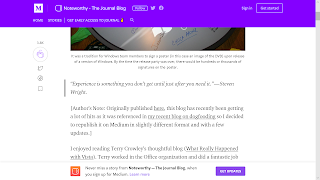 Click on that and you're put into Reading view" mode. I concede that there are similar capabilities in Google's Chrome but they all require hacks or non-Google extensions.